NEW PRICE!!!! STOP LOOKING!!! HERE IT IS!!!! all the Northern Charm & Southern Hospitality, this home is great for entertaining. French doors, wood burning fireplace, original hardwood floors, crown molding, original glass handled doors, & a mudroom off the kitchen evoke the Northern charm. The Southern hospitality comes into play with brightly sun drenched rooms, large deck with various entertaining spots & refreshing pool with waterfall. Imagine entertaining your family/friends in this gorgeous home & garden oasis.The formal dining room features large windows & glass built-in china cabinet. The chef's kitchen was fully remodeled with gas cook top in the island, granite countertops, breakfast bar with seating for 4 & bar refrigerator. Room for a kitchen table and a walk-in pantry featuring beautifully etched glass door. There is an abundance of storage in the kitchen and throughout the home. The staircase could be exposed to allow more of an "Open Concept". In addition, the first floor has bedroom (currently used as an office), half bath, laundry room with another half bath, mudroom and conversation room off the living room. With 6 bedrooms there is enough room to have a home office, guest room and media room. The large light & bright master bedroom suite is updated with large tile floors, dressing area, shower/tub, dual sinks and an 11X11 window-lit closet. There is another full bathroom located on this second floor.The glass door in the kitchen leads you out to a spectacular 750 sq ft deck built in 2016 and a pool, which is enclosed with a safety gate. The yard is fully fenced with alley access, 2 car garage and a covered area for small boat. Nearby Crescent Lake offers tennis courts, dog park, playground, walking and biking paths. 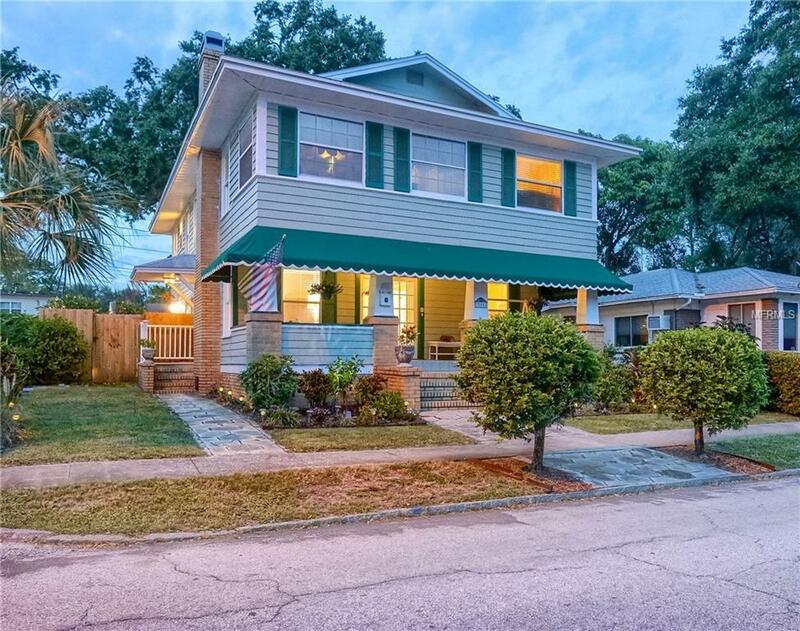 Downtown St Pete is located minutes away,close to schools, interstate, airports, beaches. museums, music and sports venues and a variety of restaurants. An additional bonus-NO FLOOD INSURANCE REQUIRED.